Amanda is a Licensed Professional Counselor specializing in the treatment of mood disorders, anxiety, trauma, LGBTQ+ issues, relational conflict, struggles in parenting, and attachment concerns. She has also worked with clients around adoption and relational loss and is passionate about working with adults and teens experiencing intense emotions. Amanda has a diverse background, having worked with children, adolescents, adults and whole families, survivors of domestic violence and sexual abuse, and at-risk youth. Amanda is a member of the American Counseling Association and the Association for Lesbian, Gay, Bisexual and Transgender Issues in Counseling; she takes a special interest in the LGBTQ+ population and has experience in gender identity therapy and transition services for transgendered individuals. Amanda earned her MS in clinical and counseling psychology from Chestnut Hill College with a concentration in trauma studies. She holds a license in professional counseling and is certified with the National Board for Certified Counselors. Her approach to treatment is integrative and pulls from a variety of orientations and modalities in order to tailor treatment to each client as an individual, understanding that approaches to mental wellness are not one size fits all. Amanda utilizes models such as Internal Family Systems, Cognitive Behavioral therapy (CBT), Trauma Focused- CBT (TF-CBT), Systemic Family Therapy, and expressive arts, among others, to address an array of concerns. Amanda believes in welcoming all parts of each client to session for a whole person approach to treatment. She works to create a safe and judgment-free environment through authentic connection, humor, and a focus on client strengths. She aims to empower every individual with whom she meets to actively create happiness in life through self-love, acceptance, and ownership. Amanda earned her MS in clinical and counseling psychology from Chestnut Hill College with a concentration in trauma studies. She holds a license in professional counseling and is certified with the National Board for Certified Counselors. Her approach to treatment is integrative and pulls from a variety of orientations and modalities in order to tailor treatment to each client as an individual, understanding that approaches to mental wellness are not one size fits all. Amanda utilizes models such as Internal Family Systems, Cognitive Behavioral therapy (CBT), Trauma Focused- CBT (TF-CBT), Systemic Family Therapy, and expressive arts, among others, to address an array of concerns. 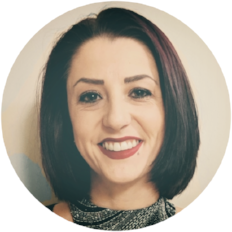 Amanda believes in welcoming all parts of each client to session for a whole person approach to treatment. She works to create a safe and judgment-free environment through authentic connection, humor, and a focus on client strengths. She aims to empower every individual with whom she meets to actively create happiness in life through self-love, acceptance, and ownership.